There’s only one | The Old Adam Lives! This message would make a great many liberal mainline Protestant pastors spit like crazed camels. 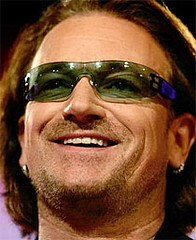 But I think Bono would be quite pleased. And thanks to flicker and itrimble for the photo.